You’ve got a single multi-homed BGP connection to two ISPs. You want to load balance traffic to a specific destination but you have no control over what the ISPs are doing with that route as it traverses the network! You helped the ISP build their network … but then they fired you and left you scratching your head trying to enable load balancing. Make the required physical connections as depicted in the diagram. Configure the IP addresses as depicted in the diagram (begin with 192.168). Add a loopback on R1 and R5 with addresses 1.1.1.1/32 and 5.5.5.5/32 respectively. 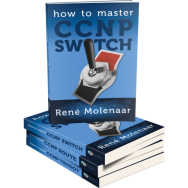 Pull these loopbacks into BGP using the network command, and no other networks afterwards. Configure an outbound route-map on R5 to set the origin to “?” for all routes it sends to R2. Configure an outbound route-map on R5 to set the origin to “e” for all routes it sends to R4. Configure an outbound route-map on R2 to set the MED to 2 for all routes it sends to R1. Configure an outbound route-map on R3 to set the MED to 3 for all routes it sends to R1. Ensure R1’s BGP table reflects these updates, and ensure you have connectivity from 1.1.1.1 to 5.5.5.5. Enable load balancing for the 5.5.5.5 network within BGP. You will know when you are successful when R1’s routing table has two entries for 5.5.5.5/32 (one next hop is R2, the other is R3). Nothing has been preconfigured in this lab; there is no topology to download. You must build the lab from scratch. This is my preferred way of hammering home basic skills that cause us angst in our day to day troubleshooting. I can’t figure out how to get 5.5.5.5 to be able to ping 1.1.1.1 even when I apply your final configs to the routers. It’s the damndest thing, every router has a route to the loopbacks and routers which are directly connected to R1/R5 can ping those loopbacks, but not the other side’s. For example, R3 can ping 1.1.1.1 but not 5.5.5.5 even though it has a route all the way through. I am using c3725-advipservicesk9-mz.124-23.bin on the 3725 in GNS3. @ juangolbez what does the sh ip bgp show on r3 for 5.5.5.5 ? Hi. You actually may be doing everything right. I had a similar issue until I realized that router 5.5.5.5 and 1.1.1.1 may not know how to go back to interfaces they are being pinged from. Let’s say, if you are trying to ping from R1 to 5.5.5.5 you are actually pinging from 192.168.12.1 or 192.168.13.1. R5 does not have a route to 192.168.12.0/24 and 192.168.13.0/24 networks so the ping must fail. It’s the same situation if you ping R5 from R3 or R1 from R4. However, if you use this command on R1 you will get a successful ping. You’d have to pull the intermediate networks (the 192s) into BGP with network or redistribute commands. I didn’t see a reason to do that. Pinging using the source keyword makes more sense and better simulates real LAN to LAN communications. No one really cares about connectivity to the internetwork links … other than the routers. This is because from R3 1.1.1.1’s next hop is reachable(D.C) and when pinging 5.5.5.5 from R3, R5 does not know how to get back. Same will happen if you will ping 5.5.5.5 from R4, you will be able to do that as the next hop is directly connected or reachable. but you will not able to ping 1.1.1.1 from R4 due to the same reason. If have done everything fine and everything is working fine. But the command "" [b]bgp bestpath as-path multipath-relax[/b]"" is not working and was not able to complete the practical. I was not able to figure out load balancing for that last point. From what I know you will be able to do only load sharing in this case since our router is connecting to 2 different ISPs. You can do only load balance to the same network if you have 1 rtr that is connecting to 2 routers of 1 ISP (in the same AS). Please correct me if I am wrong! I will be trying a lab with that to check if it’s working. This lab requires a hidden BGP command that relaxes the rule about multipath selection. Configure an outbound route-map on R5 to set the origin to "?" for all routes it sends to R2. 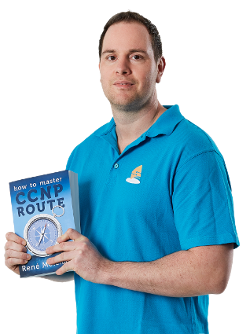 You need to build a route-map and apply it outbound towards the specific neighbor to change the BGP attribute. as-path multipath-relax—allows the switch/router to treat paths received from different AS’s for multipath, if their AS-path lengths are the same and other multipath conditions are met. You are correct, and to test and see the load balancing in effect, you can do a ping from R1 to 5.5.5.5 source 1.1.1.1 repeat x times … turn on debug ip packet and see the packets sent to between the two AS towards the destination 5.5.5.5 network. The router’s locally generated pings will be CEF-switched though, and should only take one path. Are you seeing something different? – Create an inbound route-map for route from R2, prepend 2 to the route-map so the as-path from R2 and R3 routes are of same length. – Enable the “bgp bestpath as-path multipath-relax” so the 2 as-paths do not need to be equal. -> Load balancing will be activated. Please upload the dot net file .Waiting for your kind response. I apologize but the .net file is not available. If you build the lab from scratch, I can assure you that you will learn more. i have read several blog posts regarding the “bgp bestpath as-path multipath-relaxed” hidden command. the ones i’ve read seem to suggest that this command will permit load balancing over eBGP paths with varying attributes so long as the AS-PATH attribute is equal in length over the different paths. in this particular lab, i did not find that to be accurate. i had to also make the origin attributes match for the different paths in order to achieve load balancing – did not need to adjust the metric (MED). *> 192.168.12.2 2 0 2 5 ? * 192.168.12.2 2 0 2 2 5 ? *> 5.5.5.0/24 192.168.13.3 3 0 3 4 5 ? *m 192.168.12.2 2 0 2 2 5 ? Interesting comment, looks like you are using a pretty new version of IOS. Wonder if it changed. Route-map set egp is probably still there as a hidden command, but is now deprecated. Colorado(config-route-map)#set origin egp 65535 ? I’ve setup the lab base so far with just the interfaces and save it if anyone wants to grab it. See the topology layout for the interfaces I used, or change it as you need it. * 5.5.5.5/32 192.168.13.3 0 90 0 3 4 5 ? *> 192.168.12.2 0 90 0 3 2 5 ? Request you to please add a video of this topology. Please give a video Of thisss..
thought i did everything correct on this, but when debugging, all coming from the .12 network, so was not load balancing, however Nicholas Russo’s comments were dead on, as soon as i switched off CEF, could see load balancing working via the debug. thanks Nicholas, would have had me stumped for days if not weeks. I though this lab will be straight forward, but hmm no. I had to adjust metric, as path, and origin to make it work, plus the hidden command. This is a good one! I really enjoyed it, makes you think outside the box. Are there final configs somewhere so I can check my work?